A deputy headteacher killed his wife and slit his three sons' throats in their bedrooms, leaving a bloodied knife on a pillow before hanging himself, an inquest heard. 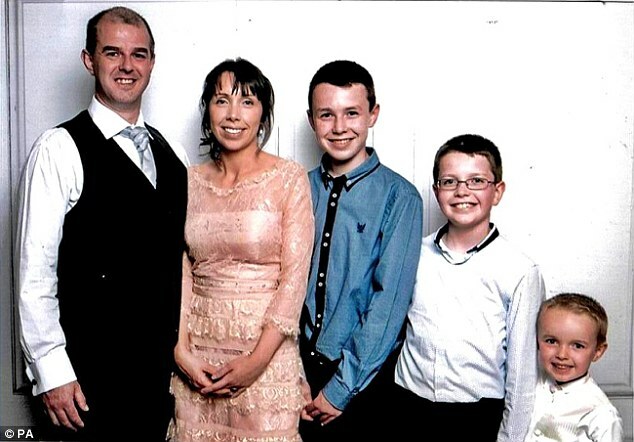 According to the report by Dailymail, Alan Hawe, his schoolteacher wife Clodagh and their three children Liam, 13, Niall, 11, and Ryan, six, were found dead in their home near Ballyjamesduff, Co Cavan, Ireland on the morning of August 29, 2016. He may have targeted Clodagh and Liam first for fear they would fight back, leading pathologist Michael Curtis told the inquest. During the hearing, Garda Aisling Walsh broke down and wiped away tears as she recalled the harrowing scene at Oakdene, Barconey. Mrs Hawe was found lying face down in her pyjamas and dressing gown on the sitting room sofa. She had suffered severe head and neck injuries and there was a large pool of blood under the chair, the inquest was told. A small axe and a knife with Alan Hawe's hand print was found beside the sofa, gardai told the hearing. Mr Hawe was found hanged in the hall. 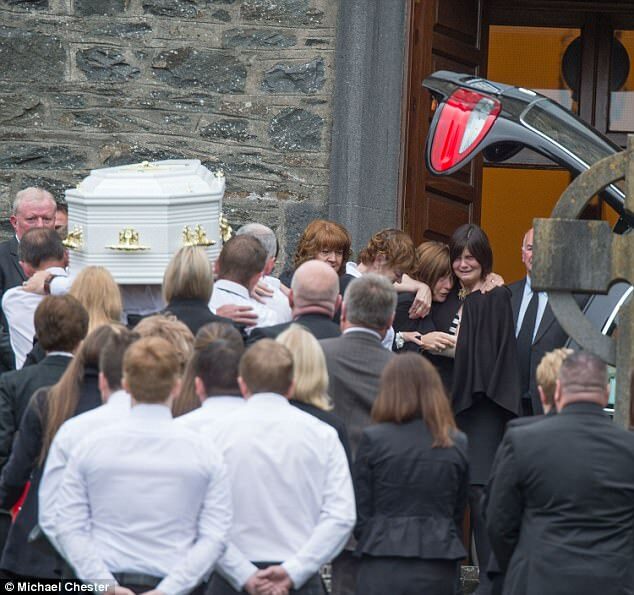 The inquest was told two of the boys, Liam and Niall, were found in their beds in the upstairs room they shared. A knife was found in the bedroom. Six-year-old Ryan was found alone in his bedroom and also had a duvet over him. Another knife was found on his pillow, the inquest heard. During the inquest today, one of the country's leading pathologists said the school principal may have targeted his wife and eldest son first for fear they may try to stop him. Amid audible shock in Cavan courthouse, Michael Curtis explained how Alan Hawe killed his family. The deputy state pathologist was asked by coroner Mary Flanagan if his examinations offered any insight into who died first. 'It's impossible to say with certainty,' he said. The deaths would have been rapid, Dr Curtis said. As he outlined in graphic detail how Mrs Hawe and her three sons died, her mother Mary Coll and sister Jacqueline Connolly sobbed and shook as they were comforted by relatives in the front row of the public gallery. The boys, who were found in their beds, suffered stab wounds. Liam also had injuries to his left arm and hands while Niall had an injury to a finger on his right hand, the inquest was told. Dr Curtis suggested these may also have been defensive. The pathologist said there were similarities in how the three boys died, and it was difficult to conclude this was coincidental. A toxicology test showed Mr Hawe had no alcohol or drugs in his system at the time of his death. He died by suicide and was found in the hall of the house. A jury of six women and one man is hearing the inquest in Cavan courthouse.